7.7 out of 10 based on 61 verified user reviews via Agoda. Rim Doi Resort is a popular choice amongst travelers in Chiang Dao, whether exploring or just passing through. The hotel has everything you need for a comfortable stay. All the necessary facilities, including 24-hour room service, free Wi-Fi in all rooms, 24-hour security, fireplace, car park, are at hand. Each guestroom is elegantly furnished and equipped with handy amenities. Enjoy the hotel's recreational facilities, including fishing, garden, karaoke, before retiring to your room for a well-deserved rest. 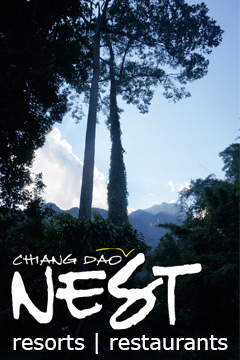 No matter what your reasons are for visiting Chiang Dao, Rim Doi Resort will make you feel instantly at home. Rim Doi Resort - Chiang Dao classifies itself as a 3 star hotel.